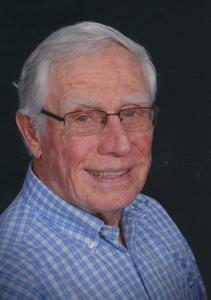 Glenn Fowler, 89 years old, of Fennville went to be with his Lord on Saturday, September 22. He passed away at his home. Glenn is survived by his wife of 66 years, Janeen, his three children Susan Fowler of North Carolina, Marianne Gagnier of New York, Bill Fowler of California and three grandchildren, Ryan Smith, Emily and Andrew Fowler. Originally from Oak Park, Illinois, Glenn was a member of the Community Church of Douglas. He and Janeen have lived in Fennville since their retirement in 1995 from Chicago Dietetic Supply founded by his mother, Rose in the early 1930s. Memorial Service will be held at a later date. In lieu of flowers, the family requests donations to Community Church of Douglas or the University of Rochester Athletics Department.